He isn't planning on rushing into parenthood, insisting he wants to be a present father when he does commit to starting a family. 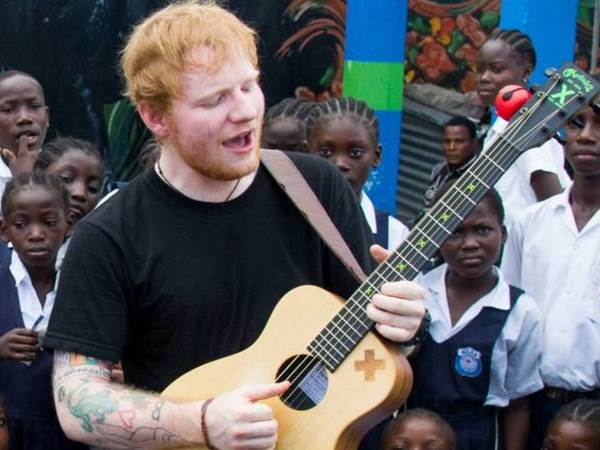 Ed Sheeran won't consider having children until his touring days have come to an end. The 26-year-old singer is in a happy relationship with hockey star Cherry Seaborn, who he has been dating since September 2015. However, he isn't planning on rushing into parenthood, insisting he wants to be a present father when he does commit to starting a family. "I don’t want to be touring when I have kids," he said during an interview on U.K. programme Good Morning Britain on Wednesday. "I want to be nipping out now and then and actually being able to be a father. So yeah, I think I would definitely have kids, I’d definitely love all the kids in the world, but I don’t want to have them right now." Ed is currently enjoying massive chart success with his new album ÷ (Divide), which includes the hits Shape of You, Castle on the Hill and Galway Girl. While he has gone from playing tiny clubs to massive arenas, he's has done his utmost to stay grounded, and credits the people around him for helping him stay down-to-earth. "I think it helps to have good people around you. Because I always have someone who slaps me on the wrist if I do anything weird… I just remember being on tour one time and being like, ‘I don’t want to go on stage today’, and someone was like, ‘Why? It’s your job!’" he laughed. At the beginning of his career, Ed was frequently pictured hitting the town. But these days, he prefers a more casual way of life, preferring a night in, to hitting the club. "I’ve stepped away a bit from going out all the time. I don’t really like going out that much," he said. "So my going out would be inviting four friends around and having a drink, rather than going out to a club."